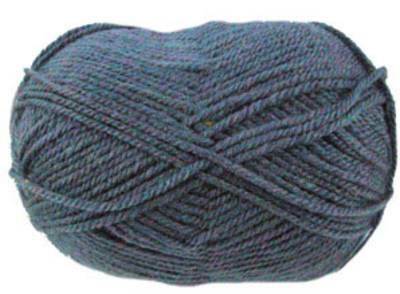 Stylecraft Life Aran knitting yarn 2346, rich slaty blue with a hint of purple. Soft, top quality blend of 25% wool/ 75% acrylic, knits to a standard aran tension of 18st/ 24 rows to 10cm on 5mm needles. 198m per 100g ball.